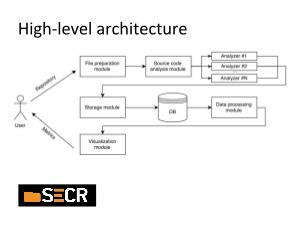 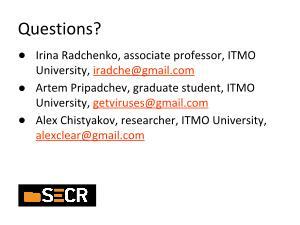 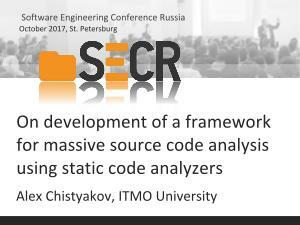 Authors describe architecture and implementation of an automated source code analyzing system which uses pluggable static code analyzers. 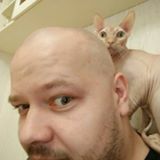 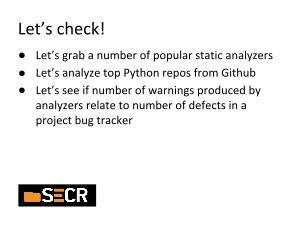 A module for gathering and analyzing the source code massively is described in details. 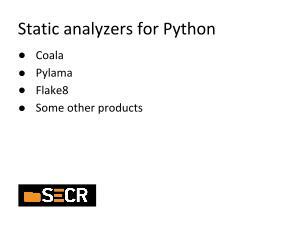 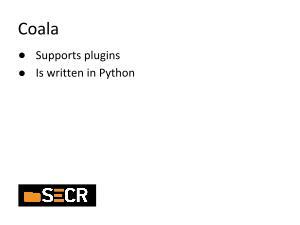 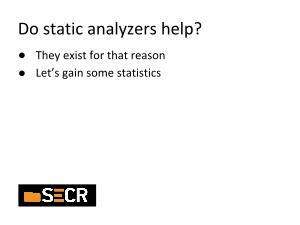 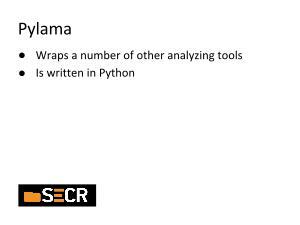 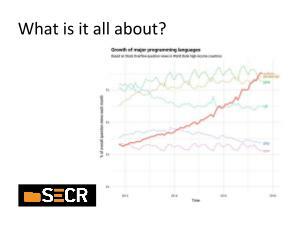 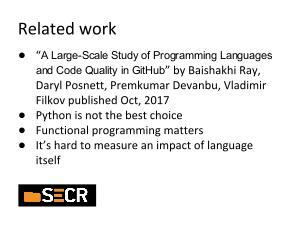 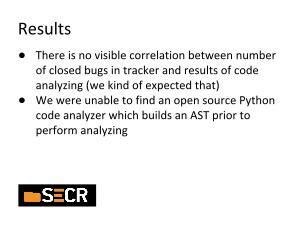 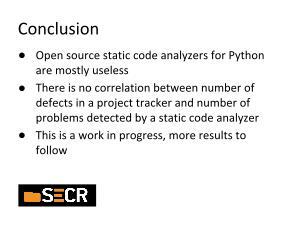 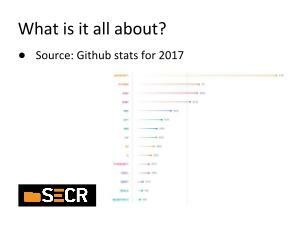 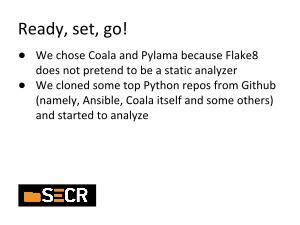 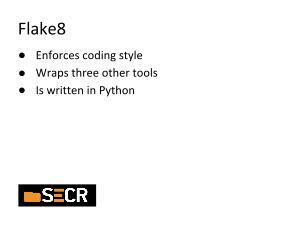 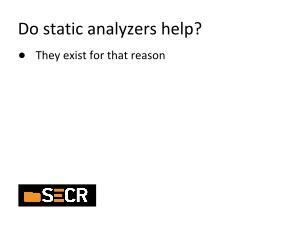 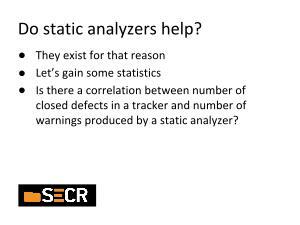 Authors also compare existing static code analyzers for Python programming language. 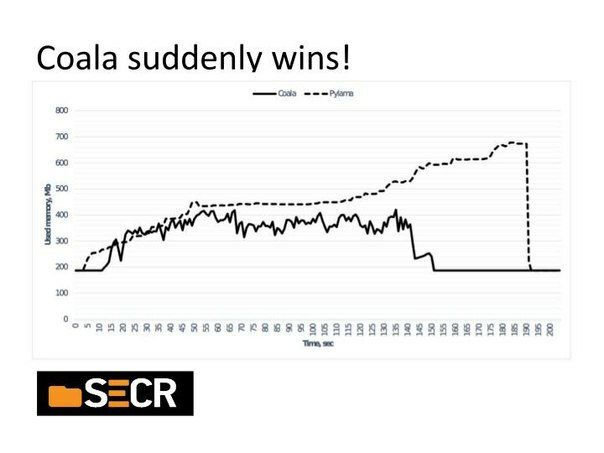 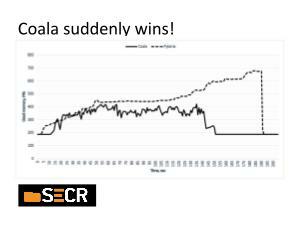 A common format of storing results of code analysis for subsequent processing is introduced. 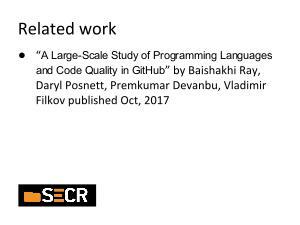 Also, authors discuss methods of statistical processing and visualizing of raw analysis results.